Tyson Beckford is seen out and about shirtless in New York City. 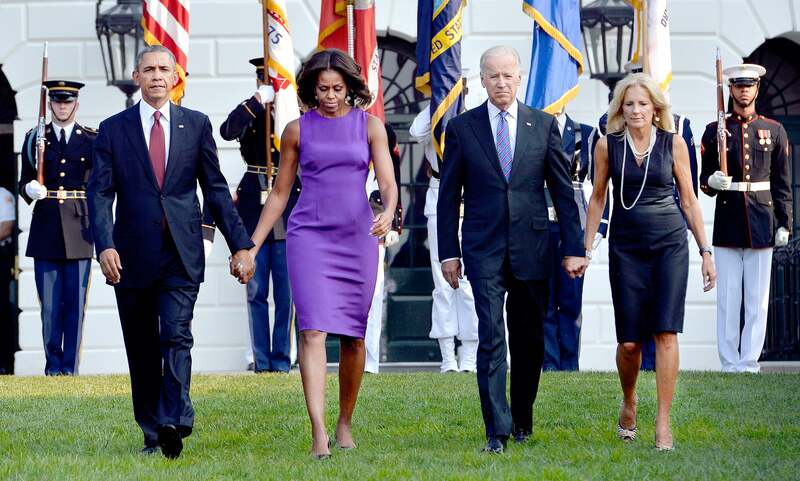 President Barack Obama and First Lady Michelle Obama observe a moment of silence to mark the 12th anniversary of the 9/11 attacks on the South Lawn of the White House in Washington, DC. Rihanna attends a photocall for the launch of her Rihanna for River Island SS14 collection in London, England. 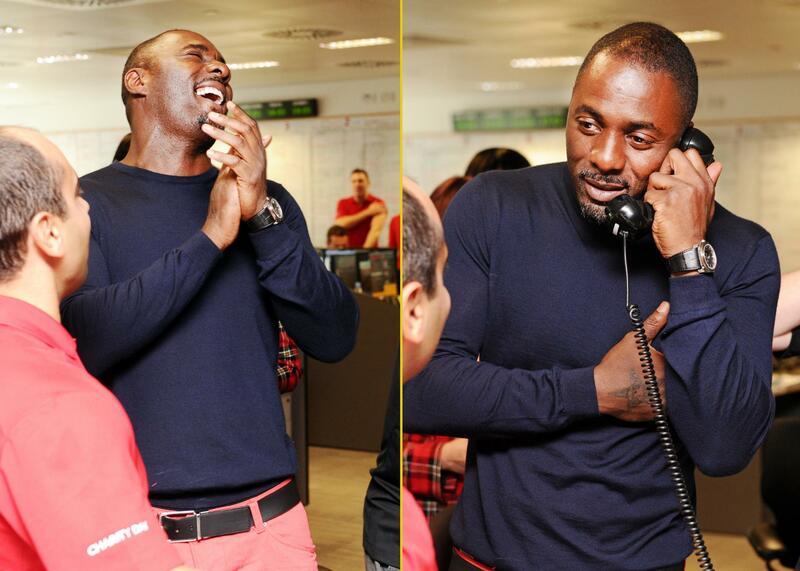 Idris Elba speaks on the phone on the trading floor during the BGC Charity Day 2013 at BGC Partners in London, England. Naomi Campbell attends the 2013 Novak Djokovic Benefit Dinner at Capitale in New York City. Taraji P. Henson attends the Catherine Malandrino show presentation at Mercedes-Benz Fashion Week in New York City. Mary J. Blige attends the Catherine Malandrino presentation during Spring 2014 Mercedes-Benz Fashion Week at Pier 92 in New York City. Selita Ebanks attends the 2013 Novak Djokovic Benefit Dinner at Capitale in New York City. Holly Robinson Peete attends the Los Angeles Magazine's LA Woman Luncheon at Sofitel Hotel in Los Angeles, California. Eve attends the Catherine Malandrino presentation during Spring 2014 Mercedes-Benz Fashion Week at Pier 92 in New York City. Gabby Douglas attends Star Trek Into Darkness Blu-ray/DVD Release Event at the California Science Center in Los Angeles, California. Angela Simmons poses backstage at the Shop.AngelaIam.com By Angela Simmons fashion show during Style360 Spring 2014 at Metropolitan Pavilion in New York City. Deborah Roberts attends the Dennis Basso fashion show during Mercedes-Benz Fashion Week Spring 2014 at The Stage at Lincoln Center in New York City. Ciara attends the Mercedes-Benz Star Lounge during Mercedes-Benz Fashion Week Spring 2014 in New York City. 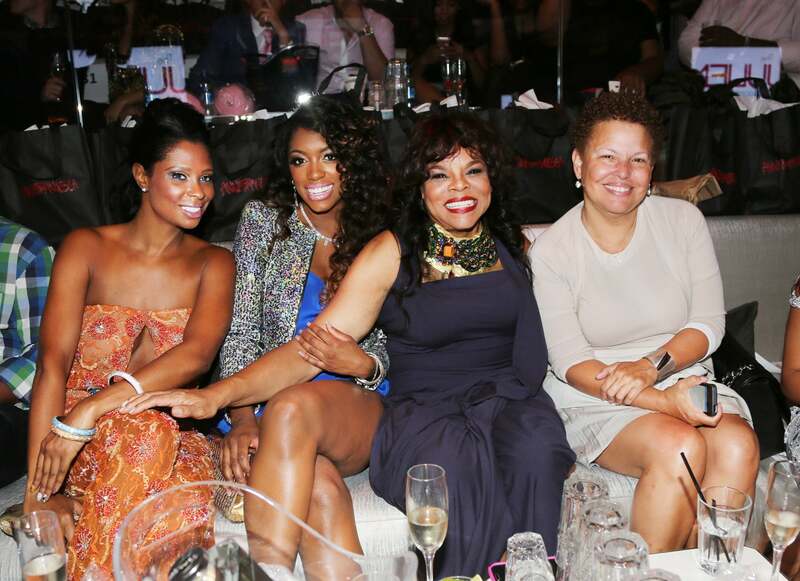 Jennifer Williams, Porsha Stewart, Jamie Foster Brown, and Debra Lee attend the Anna Francesca Spring 2014 fashion show at 40 / 40 Club in New York City. Tashiana Washington attends the Fashion Shenzhen show during Spring 2014 Mercedes-Benz Fashion Week at The Studio at Lincoln Center in New York City. Nana Meriwether attends the Zang Toi show during Spring 2014 Mercedes-Benz Fashion Week at The Stage at Lincoln Center in New York City. Traci Bingham attends Shop.Angelaiam.com by Angela Simmons Spring/Summer 2014 Collections at STYLE360 Fashion Pavilion in Chelsea in New York City.